The jumbo desktop calculator operates on battery power for convenience. Requires 1.5v AG10 battery (included). We always thrive to be quick and help you to sort whatever is needed. Change of Mind. Canon LS-120PC. A large liquid crystal display behind an acrylic window is easy to read. The calculator has a 12 digit capacity and separate 0 and 00 keys. Digit Comma Separator3-digit comma separator. 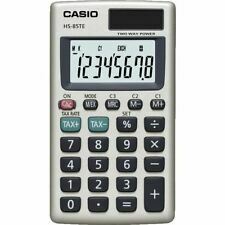 Casio 8 Digit Pocket Calculator HS85TE. It is thenArgos' responsibility to inform you once your parcel has arrived and is ready for collection. 4 Constants (k). Battery & solar powered. Easy to use desktop calculator. They will require a signature. Large easy to use buttons. HP Toner Cashback. HP Cashback. Large 12 digit display. Product Details. 12-Digit Large Angled LCD Display for easy veiwing. Dual Solar/Battery Power. Large 8 digit display. 3 Digit Comma Marker. Argos will then notify you when your order is ready for collection. 2 Year Warranty. Rubber Keys. Dual Powered / Solar and Battery. Function Command Signs. 8 Digit Compact Handheld Calculator. We will always go out of our way to source the product you are looking for. We will always help you to have a 100% positive happy buying experience. We will quickly find a resolution for your problem therefore it is not necessary to open a case in the resolution centre. 12 Digit Large Desk. Extra Large Angled-12 Digit Display for easy veiwing. Grand Total key. Two Year Maufacturers Warranty. Decimal Selector (0,1,2,3,4,ADD). Key rollover. Plastic keys. Function command signs. Extra Large display. Key rollover. 12 digit large desk calculator. Extra large Display. Large " " key. 3 Mark-up key functions. Dual Solar/Battery power. 12 digit large desk calculator. Extra large Display. Two-way power system provides power even in complete darkness. Argos will then notify you when your order is ready for collection. This new model replaces the Casio D-20TER. Large wide and clear 12 digit angled display for ease of use. Professional / Desk Display Calculator. Item model number: DH-12TER. 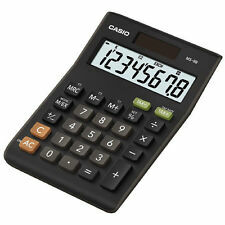 Casio 8 Digit Pocket Calculator HS85TE. Key Rollover. ALSO COLLECTION IS NOT AVAILABLE. SPEAKERS ARE SOLD WITH ONE YEARS WARRANTY. Rubber Keys. Dual Powered / Solar and Battery. This new model replaces the Casio MS-8S. Product Features: Extra Large 8 Digit display: Larger display makes more data easier to read. Two-way power (Solar Battery): Solar powered when light is sufficient, battery powered when light is insufficient. Aurora type DT910P. Computer Cable Assemblies. Cable Reels, Extension Cables & Trailing Sockets. Type Desktop. Computer & Networking Products. Number of digits 12. Prototyping & PCB Products. Backspace correction. 10-Digits BIG LC-Display Two Way Power Dimensions: 2,9 ×10,3 ×14,7 cm Metal Cover/◦Plastic Keys/Key Rollover Percentage Calculations Profit Calculation (Cost, Sell, Margin) TAX-Calculation Independent Memory 3 Digit Comma Markers Key for changing plus/minus sign . Battery operated but can be used with an adaptor. 1 new and 1 part used paper roll included. This new model replaces the Casio MS-120MS. Dual powered (solar with battery backup). Large clear 12 digit angled display for ease of use. Item model number: MS-120BM. 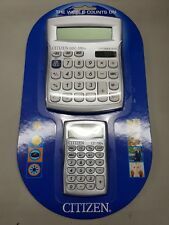 Office AT-812T Desktop Calculator With Tax Function Brand New. Condition is New. Dispatched with Royal Mail 2nd Class. 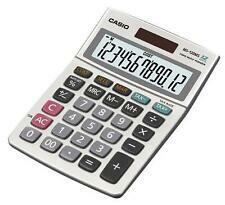 DT270 Desk Calculator. The Aurora DT270 is a quality desk calculator with a large 12 digit LCD display. 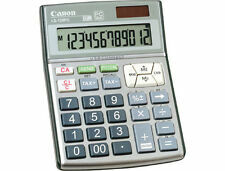 The calculator has a new design with keys made from durable hard plastic and rubber feet for desk stability. 12 Digit Large Desk. Extra Large Display. Grand Total key. One desktop calculator and one pocket calculator. │SL320T│Solar. PART NUMBER: SL320T. Part Number SL320T. 3 key Markup function Command sign 4 constants. Instruction Booklet. Interested in becoming a vendor?. Extra Large Display. Two way Power (Solar Battery). 3 key Mark up function Command sign 4 constants. Large key. 12 digits displayed. The Aurora DB453B is a very useful semi desk sized general purpose and office calculator which has a large angled 8 digit LCD display to enable easy viewing. There is also a 'Mark Up' key which is used for calculating gross profit in addition you have the convenience of Solar power with a battery back up for optimal performance. Official Ryman Outlet. From Official Ryman Outlet. This Ryman 12 digit calculator is essential for working out important calculations quickly and easily. © Ryman Limited. About Ryman. History of Ryman. Canon P1 Dtsc Business Calculator, Calculator works okay but I have been unable to get the printing part to work, great if you want a calculator for easily working out vat or currency conversion and selling margins without the need for printing it all out, requires 4 x Aa batteries,the battery bay is in very good condition,no corrosion, please see photos. Solar Powered & Battery. 8 Digit Display. 3 Digit Punctuation. High-quality Sharp Calculator. Percent, Sign Change, Currency Conversion. 1 x Sharp Twin Powered Calculator EL-330ERB. OFFICE PRODUCTS & ESSENTIALS. Professional / Desk Display Calculator. Tilted Display. Designed by experts, made for everyone. Printing Calculator No. Green Product No. Colour Black. Energy Star (Y/N) No. Mark up function to calculate sale price. Sign Change ( /-) Yes. Product Unit 1. Printing desktop calculator with model FR-620TEC has printing speed of 3.5 lines/sec. 2 Year Maufacturers Warranty, Red-Black Ribbon, Heavy Duty Printing Calculator, Two Year Maufacturers Warranty. 2-colour printing system and profit calculations. 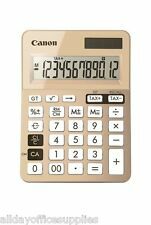 CASIO TAX & EXCHANGE Calculator MS-20NC-BU LARGE Display "LAST ONE"